This is a film about the rehearsing of Moliere's Tartuffe in 1995. Working handheld or with a stand for up to twelve hours a day, cameraman Eric Darmon became so much part of the landscape that he had a totally free hand in documenting the play's gestation, complete with director Ariane Mnouchkine's instructions, urgings and moments of uncertainty. Every action and decision, and all the tensions, elation, gaffes and bouts of craziness were filmed as they happened. And then along came editor Catherine Vilpoux, faced with 580 hours of rushes and a titanic exercise in viewing, sorting, selecting and assembling. 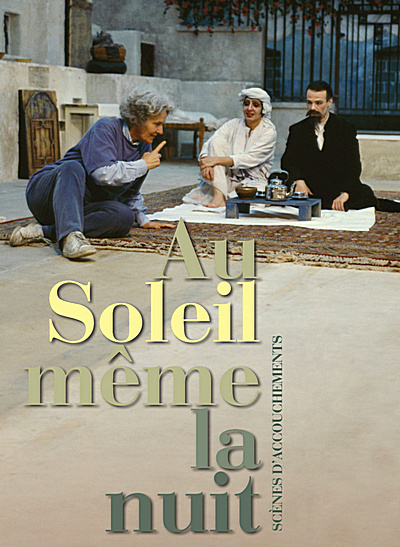 Gradually the film took shape – a shape that reflects the Theatre du Soleil's commitment to finding the right theatrical form. Ultimately, is this a film about stage directing? About a troupe of actors? About the way actors work? About how an actor is born? About the learning process? The teaching process? The theatre? Life? Probably all of that. And an unparalleled work of its kind.